Battle of the Mind. How to succeed on your VLCD. When you are on a VLCD Very Low Calorie Total Food Replacement diet your mindset is crucial, as it really is such a head diet, we need to be in “the zone”. Getting in the diet zone is hard, and staying there is hard too! In this article we will look at the battle of our minds and how we can get ourselves into the diet zone and succeed on our VLCD. Our mind is a powerful thing. We are in constant battle with our mind at times. Sometimes our own mind can be our worst enemy. It can say the meanest things to us, and it can try to trip us up when we are at our most vulnerable. We probably wouldn’t want a friend like our own mind when you think about it. For people who struggle with their weight, the battle of the mind, and the wolves inside can focus on our weakness – FOOD. Many of us WANT to go on a VLCD – we want to break the bad habits and addictions to the food that is both our comfort and our enemy. We set the date and get committed to start, and then Day 1 arrives, and by tea time the bad wolf comes in, and the battle of the mind commences. The bad wolf tells us, it is ok, we can start again tomorrow. We either stay strong or give up. If we give up the bad wolf wins and then we feel so bad and we want to start again tomorrow. The next day the same thing happens again….. 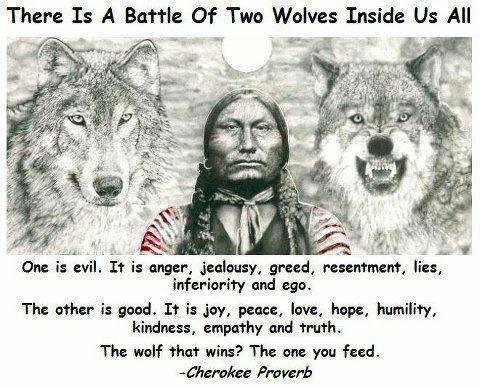 The battle of the mind, and the two wolves inside will always continue if we keep feeding both wolves. The only way the “bad wolf” will stop trying to throw you off course is if you stop feeding it. You need to realise that the bad wolf is alive and well inside you, and that if you want to stop hearing his voice then you need to stop feeding him. What is your bad wolf saying to you? What is your good wolf saying to you? Today when you hear your bad wolf speak to you, realise that you cannot feed him, you have to stay strong, listen to your good wolf. Listen to the voice inside you that knows you deserve much more, that you deserve to be healthy and happy, you deserve to look in the mirror and think you look gorgeous! You deserve to go into any clothes shop you want and chose any outfit because you know it will look fab on you! You deserve to have fun with the lights ON ;-). It is commonly said that it takes 21 days to break a habit. I have found that anyone who can stick to their VLCD total food replacement diet plan for 21 days 100% really do have great success. I think this is how long it takes for that bad wolf to be quiet. The bad wolf inside you will never really die, but the less you feed him the less energy and control he will have over you. Today give yourself the gift of 21 days 100%. 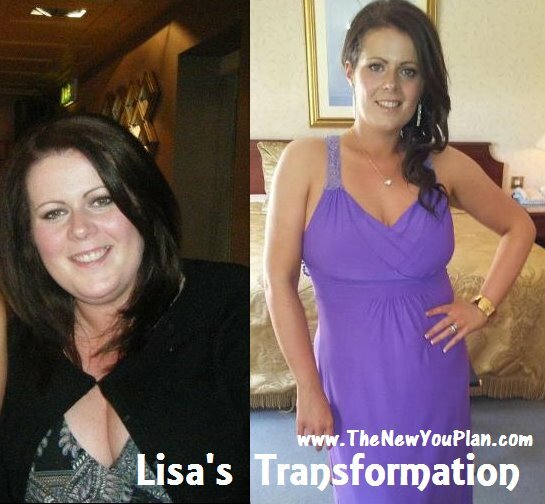 You will look and feel better, you will feel in control, you will feel empowered and your jeans will be looser on you! Stop feeding that bad wolf inside you, instead nourish yourself, love yourself, make the right choices, stay strong and focused, and believe in your heart and your soul that you deserve this. YOU CAN DO IT! Don’t forget that new you plan customers also have the love, encouragement and inspiration from our secret facebook group called secret slimmers, and the 7 day kick start will also feed your mind with lots of positive strength to help you feed the good wolf who will love and support you on your journey to your healthy weight goal. If you want to find out more about the new you plan and our range of diet meal replacements for safe rapid weight loss via ketosis then please check out our GETTING STARTED page. You can order your VLCD diet meal replacements from our website. Fantastic article Julz, so strong and determind! love the wolves proverb… gonna print that off and try live by it, not just for the way it relates to food but in life, sometims we can get too caught up in the things that frustrate us and make us unhappy and angry rather than focusing on the happy/ joyful things that we are living tru and enjoying.